Vinyl records seem to be much different than the other mediums we’ve used so far for enjoying our favorite music. Both audio cassettes and CDs were once widely used, but since have been forgotten. However, vinyl records are coming back! And unlike last time, they’re here to stay! So, if you’re into the vintage sound and experience, you’ll need a turntable. Sure, you could go for those brand new models if you’re looking for a straightforward and easy experience. However, why not complement that old-school format with a vintage turntable? 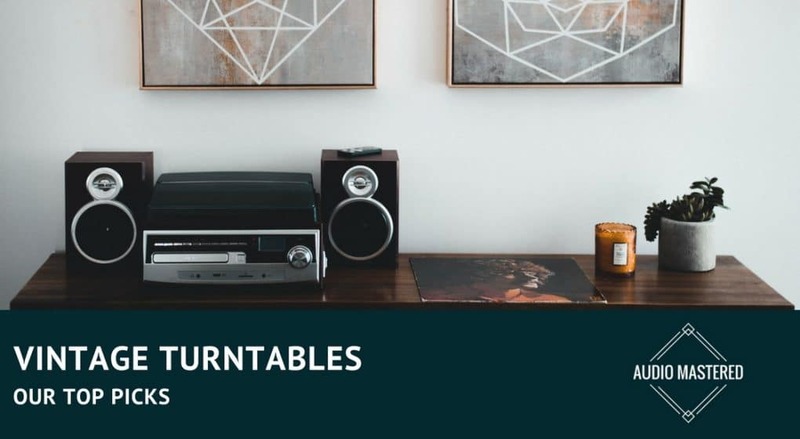 In this article, we will go over the brief history of turntables, why you should get a vintage model, as well as a couple of features you should look for. After that, you can take a closer look at the top 10 models I’ve chosen as the best vintage turntables. 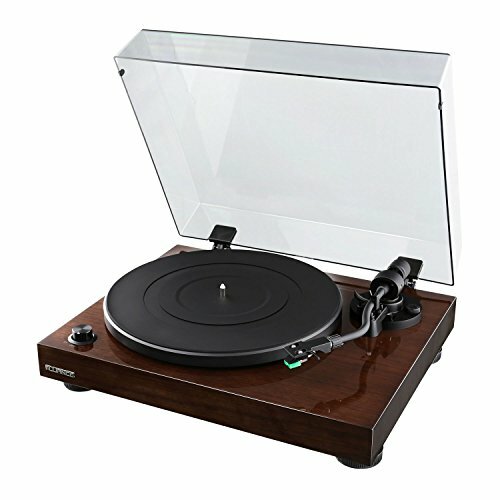 ​If you are specifically looking for record players in a suit case, you can read my selection of portable record players. 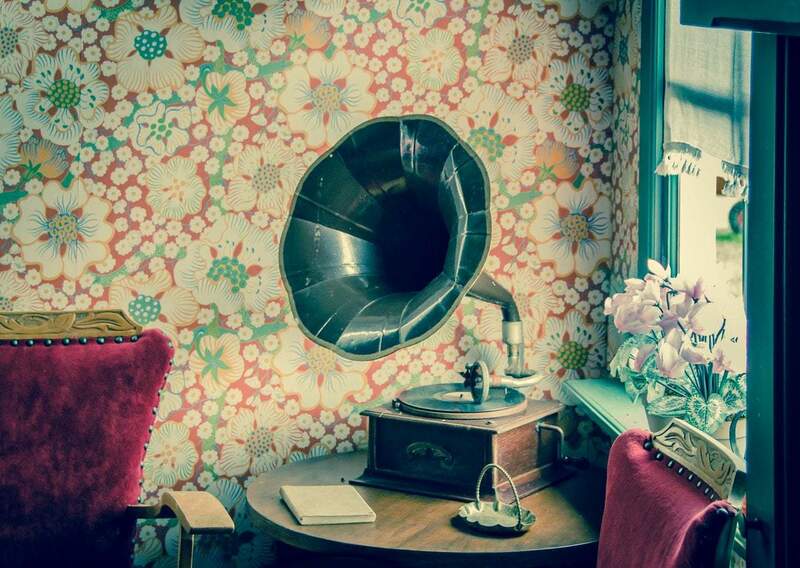 Way back in 1877, Thomas Edison came up with an invention that revolutionized the way we listen to and enjoy music, the phonograph. Edison’s phonograph was able to inscribe music onto a sheet of tin foil that was rolled up on a cylinder. This way, you could both record and play back the audio inscribed on the foil. A couple of years have passed, and Alexander Graham Bell made an improvement to Edison’s phonograph, by replacing the heavy tin cylinder with a wax one. However, the first turntable dates back to 1895 and was invented by Emile Berliner. This device played disks made from rubber, and later, as we know now, vinyl. The appearance of low-cost radio devices was a huge threat to the, then very young, record industry. However, it had the opposite effect, leading to important improvements in terms of record-making and the related technology. 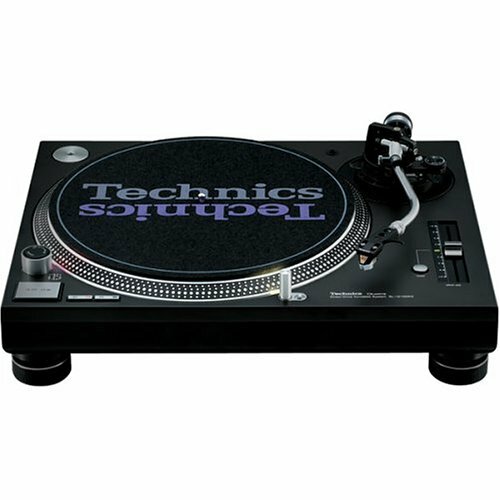 Over the next couple of decades, major technological breakthroughs made producing both the records as well as turntables much cheaper and more available to the public. By the ‘50s and ‘60s, this technology was a standard when it came to listening to music, both in public places and at home. However, the introduction of the compact disc format in the ‘80s has made records somewhat obsolete, as CDs were much more practical, both in terms of reproduction, storage, and carrying. The rise of the internet, digital formats, streaming, and all sorts of other factors made turntables and vinyl records more of a hobby and a thing for collectors. Luckily, vinyl has made a major comeback in the last couple of years, leading to the appearance of affordable turntables, and artists publishing their latest albums on vinyl as well as other formats. Nowadays, everything connects to the internet and has a touchscreen. So why should you go for a vintage turntable, that features outdated technology, and is probably less reliable than the brand new models? Well, it’s all about the experience. Modern turntables may be pretty convenient, but the end result isn’t the same as you’d get from a vintage model. First of all, most new models don’t offer the ability to set all the parameters. Probably the most important ones being the pressure the stylus applies to the record and the balance of the tonearm. Not being able to do that can result in damaged records over time. And that’s the last thing you want since records aren’t as cheap as a digital download of an album. Vintage models are most commonly made of hard materials, making them very sturdy and longlasting. 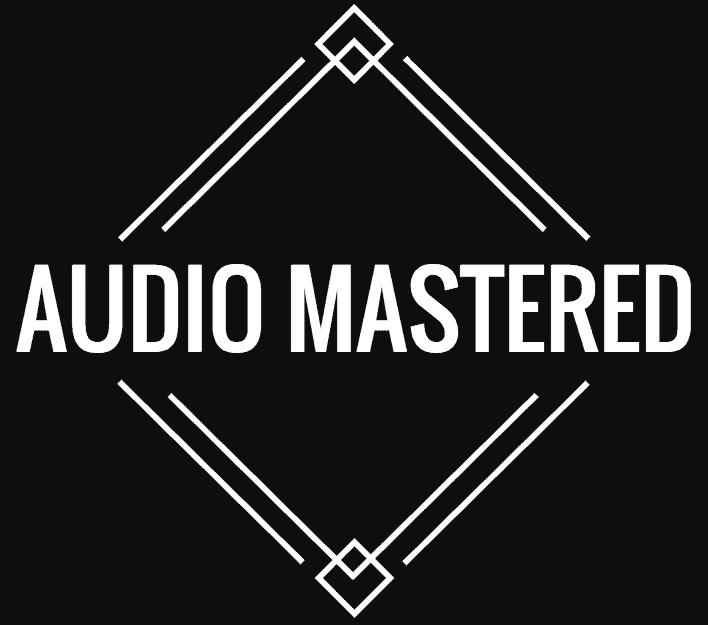 This also means that the actual audio reproduction is going to be consistent and at a higher level of quality altogether. Plastic being the material of choice for most modern turntables results in a very cheap-feeling device and a poor audio quality. The bottom line is this: If you’re looking for a simple, hassle-free vinyl record listening experience, sure, go for a new, modern model. However, if you truly want to experience your favorite albums at a much higher level of quality and definition, investing money and time into finding a good vintage turntable will result in a very rewarding experience! 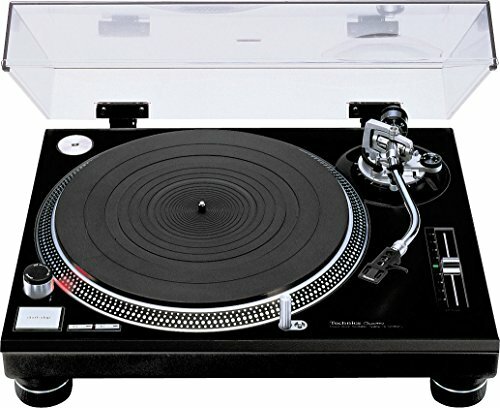 ​If you want a cheaper option, there are plenty of decent turntables under $100. So, you’ve made up your mind, and want to get a good vintage turntable. Where do you start? What should you look for? Personally, I’ve found older devices, no matter what type they may be, to last a much longer time than new ones. It’s mainly because nowadays, everything is expendable. Back in the days, things were made to last, and now, due to hyperproduction, the brands just want you to buy the newest and greatest, improved model. The materials that are used for the actual turntable are an important factor. Steel, while certainly heavy, is a very long-lasting material which makes for a great option. Aluminum is a good alternative, providing structural integrity but being lightweight at the same time. Plastic makes the price go down, but in some cases isn’t that bad. Other options include various types of wood, which is generally a good material when it comes to turntables, both in terms of audio and longevity. As the stylus is the part of the turntable that’s in direct contact with the record you’re playing, it’s very important. As most vintage models offer the ability to change both the stylus and the cartridge, you shouldn’t be too worried if the original one isn’t that great. But, if you’re on a tight budget, go for a model that offers this ability, and maybe even comes with an extra stylus included. As you probably already know, the record needs to be spinning in order for you to be able to listen to the music on it. Direct drive, meaning that the platter is directly connected to the axis of the motor. The main advantage of this type of drive is that the platter gets up to speed fairly quickly, and there are fewer parts that can get damaged or worn out over time. The disadvantage is that vibrations may affect the audio quality. Belt drive, meaning that the motor and platter are connected via an elastic belt. This makes for fewer vibrations, but the belt needs to be replaced from time to time. So, think about what’s more important to you, and decide accordingly. Personally, I prefer the belt-drive option, as less vibration is noticeable. Now let’s take a closer look at some actual models that you can find on the market! 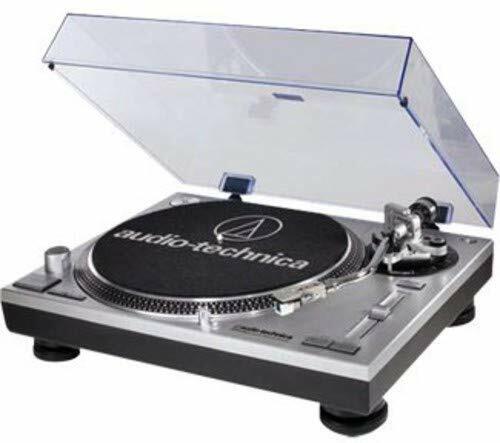 Audio-Technica is a brand known for making some of the best pieces of audio equipment for quite some time now, and their AT-LP120-USB turntable is no exception. While some of you may argue that this model isn’t really vintage, considering the fact that it features a USB connection, the rest of the features definitely fit into the description. Besides being able to connect it to a computer and archive your favorite records, the built-in phono amp allows for an easy connection with pretty much any set of speakers. A great option. Keep in mind it is direct drive - some vibrations may be noticed. All 3 of the most commonly used record standards are supported, 33 1/3, 45, and 78 rpm, and you can also adjust the pitch for optimal performance. The tonearm balance is fully adjustable, and replacing the cartridge is pretty easy. Bottom Line: If you’re looking for a well-built turntable which you can fully adjust, and get a pretty good sound out of, the AT-LP120-USB is a great choice. Pro-Ject may not be as famous as Audio-Technica, but their Essential III surely shows they know how to make a solid turntable. The first thing you notice about this model is the sheer simplicity of the design. It’s minimalistic and fairly easy to use, while still providing the user with control over the main parameters. The belt-drive design eliminates most of the vibrations, and the diamond-cut aluminum drive pulley makes for a consistent, high-quality performance. The tonearm is fully adjustable as well, featuring sapphire bearings for amazingly smooth movement while tracking the records. The gold-plated RCA connectors show that each detail of this model was carefully planned out, and offers a very clear signal for your speakers. The glossy base may look like it’s made out of plastic, but it’s actually medium density fibrewood, which is also responsible for less vibration and the overall lightweight design. Bottom Line: ​The Essential III turntable from Pro-Ject is an attractive model that features very well-built components and makes for a pleasant listening experience. USB output for transferring music from vinyl records to your Mac or PC. The TN-300 is yet another great model coming from Teac. The combination of vintage components and modern connectivity makes it a great option for anyone looking for an old-school turntable with a trick up its sleeve. This model manages to balance looks and durability quite nicely. Teac didn’t cut any corners when they went with aluminum as the material of choice, so the TN-300 not only looks and feels good but is solid and lightweight at the same time. 78 rpm records are sadly not supported, but then again, the 33 and 45 rpm ones are what most people tend to use. A great quality record player for the price range. Once again we’re looking at a belt-drive system, so vibrations shouldn’t be an issue. The TN-300 sports a built-in phono equalizer, with the option of switching from line to phono. The USB connection can be used for saving your records on your computer, making it a very versatile model. Bottom Line: ​​The TN-300 from Teac offers a very convenient combination of features and high-quality hardware, which is something you don’t find very often in the around $300 price range. Fluance is a Canadian brand that makes all sorts of audio equipment. 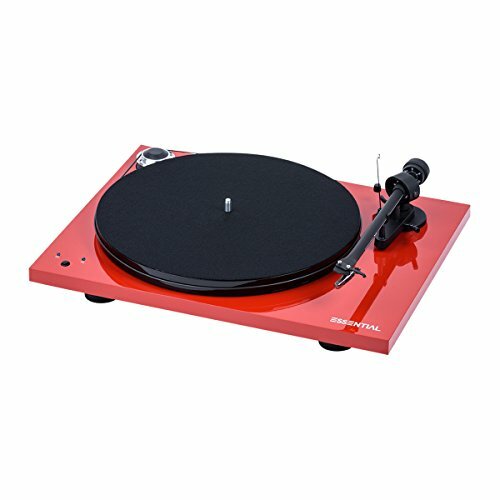 Their RT81 turntable is an affordable and very well built model that’s really fun to use. The balanced S-type tonearm is made of aluminum, making it very lightweight and easily adjustable. As far as the controls go, you can adjust the rpm from 33 to 45, simple as that, making for a very minimalistic knob layout. Fluance went with Texas Instruments preamps, so the quality of the reproduction and the signal that’s getting to your speakers is at a very high level. Uses AT95E elliptical stylus dual magnet cartridge. When compared to the previous model (RT80), it’s obvious that the RT81 has received some neat improvements, such as the AT95E elliptical stylus dual magnet cartridge, which puts way less stress on the records while offering a more natural sound. The MDF used for the body is similar to the one used in the Essential III. The turntable is lightweight, but not as solid as the aluminum ones. Bottom Line: ​​​For around $250, the RT81 by Fluance, with its specs and features, provides a great experience and overall quality. At number 5, we have a turntable with a very interesting design. The Orbit Plus by U-Turn Audio features amazingly clean and sleek looks. The first thing you’ll notice is the see-through platter. It’s made from machined acrylic, so vibrations of any kind shouldn’t be a problem. The belt-drive system is visible, because it’s on the outside like we’ve seen on the Essential III model. What’s really interesting is that there is only a single button you can press, and it’s the on/off toggle. The Ortofon OM 5E cartridge makes for great audio. The fact that the Orbit Plus doesn’t have a built-in preamp may be a dealbreaker if you don’t already have a receiver with one and don’t plan on getting one. Bottom Line: ​​​​If you’re looking for a turntable that sports a unique design and offers solid performance, definitely check out the Orbit Plus by U-Turn Audio. 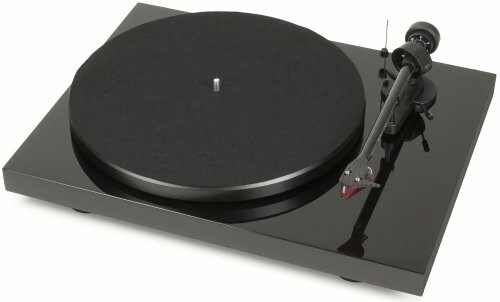 Next, we have yet another great model from Pro-Ject, the Debut Carbon. It features a pretty similar minimalistic design with a couple of neat improvements when compared to the Essential III. The black finish of this turntable looks amazingly sleek, but you can also go for colors such as white or gray, and even purple, red, green and blue, for more of a funky touch! When it comes to the material used for the body, we can see a pretty similar trend with the MDF wood being the material of choice once again. The platter is metal, and as it’s topped with a felt mat, your records won’t get damaged, and vibrations shouldn’t be an issue as well. If, however, you want to change between the 33 1/3 and 45 rpm speeds, you will have to pick up the pretty heavy platter in order to do so. The anti-skate feature makes sure that you get the best possible experience. Do have in mind that this turntable doesn’t have a preamp installed! Bottom Line: ​​​​​For around $400, you can get the Debut Carbon by Pro-Ject, a good looking and great sounding turntable by all means! The Rega Planar 1 turntable features a brand new RB110 tonearm built with the new Rega designed, bespoke, zero play bearings with ultra-low friction performance (Patent Pending). Every single aspect of the Planar 1 has been meticulously designed to improve performance. For the first time the Planar 1 is now running a 24v, low noise, synchronous motor to reduce vibration transfer combined with our brand new RB110 tonearm fitted with Rega's bespoke zero play bearings. 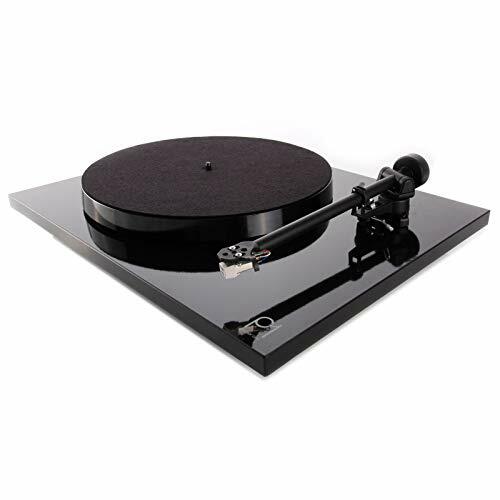 Rega is a British company known for making some of the best turntables on the market, both entry-level and professional, audiophile ones. 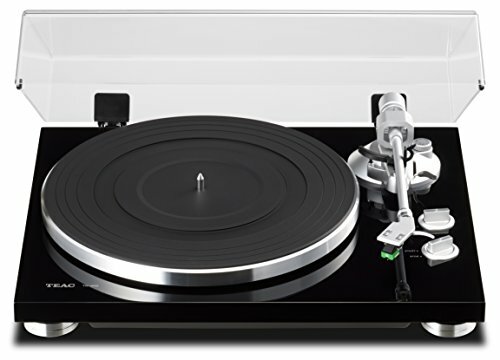 Their Planar 1 model is an easy to use turntable that offers a very wide sonic image and great looks. First of all, the Planar 1 sports a pretty slim design, making it not only attractive but easy to fit in pretty much any setup you might have in mind. The base is made from a thermoset polymer, which is of much higher quality than regular plastic, but lightweight at the same time. The platter is much thicker than in most other models, and is made from aluminum. Basically, you’re looking at a turntable that you can simply plug and play. All the necessary parameters are easily adjustable, and playback is very simple. Bottom Line: All things considered, the Planar 1 turntable is very simple yet effective. The SL-1210MK2 by Technics, though pretty expensive, shows clearly what a good turntable needs to offer. For around $2000, you’ll be getting a device that meets industry standards and still has more to offer. Each and every component was carefully put together in order to provide the user with the optimal listening experience. The quartz-synthesized direct drive brings the records up to speed in no time, while eliminating any unwanted vibrations by using high-quality materials all around. A great option for professional DJs. The body is made of aluminum, and the heavy rubber base makes sure that the device sits in place at all times. A strobe light helps with setting the correct speed, and variable pitch control helps with beatmatching. All of these upgrades make a difference if you’re a professional DJ, but in terms of listening to your records at home, they don’t really matter much. Bottom Line: ​Whether you’re a DJ, or simply want a high-end turntable, the SL-1210MK2 is one of the best turntables you can get. And finally, at number 10, we have the SL-1210MK5 by Technics. As the model name suggests, this is an upgraded version of the 1210MK2 that we’ve just previously mentioned. Well, the tonearm offers a slightly higher level of sensitivity, and there is a pitch reset button as well. Upgraded version of the 1210MK2. The anti-skate feature is capable of correcting the stylus path more aggressively, and the incandescent light is switched with an LED target light. The cover is attached to the base of the device with magnets, unlike the one on the MK2 that was connected via hinges. Bottom Line: ​So, if you’re a professional DJ and want the best of the best, the SL-1210MK5 is the way to go. That pretty much wraps this article! As you’ve had the chance to see, there are many different vintage turntables to choose from. Now it’s up to you to choose the one that suits your needs the best. 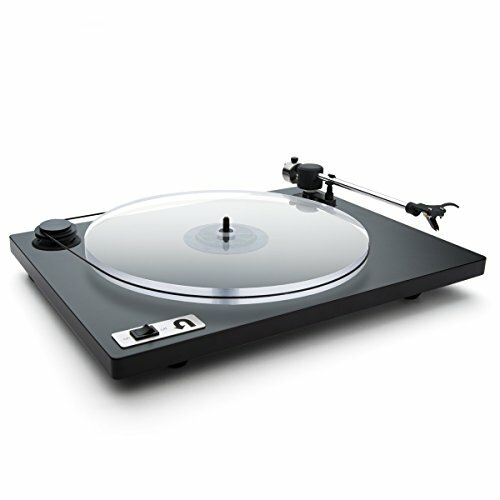 If you've enjoyed this review article, please check out my review of turntables under $200 here. I hope that you found it helpful and that you learned something new about turntables. As always, thanks for reading, and I’ll catch you in the next one! My name is Glen Parry. I've been in the audio world for over 15 years. This includes guitar, keyboard, ukulele, speakers, headphones and everything else that comes with it. I spend all my free time on music production and jamming with friends. I hope to use this site to share my experience and help anyone looking for solutions to audio related problems.